Would you like to power your home using the sun’s free power? It may be easier and cheaper than you think to install solar panels! 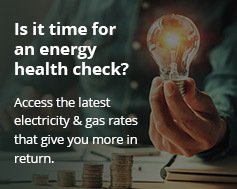 Energy Matters Australia are the grid connect professionals, with thousands of residential installations successfully completed! So if you are interested in solar power systems for homes, then read on. Get a quick solar quote. What is a grid connect solar power system and how does it work? How many solar panels does it take to power the average home or business? Is residential solar costly? Read our brief guide to grid connect PV systems. Thinking about dropping the mains grid altogether, or perhaps just further reducing your dependence on it? The home energy storage revolution is almost upon us – learn more about home battery systems. Save thousands on solar power! Find out more about generous government incentives and renewable energy rebate schemes. You can even make cash from your residential solar power system! Get a quick solar quote! If you have a written quote from another company – try our solar quoting system and see how much more affordable our systems are. If our price is not below the quote you have, fax or email it to us – we will match any price for identical components with signed quotes delivered directly from our competitors. Price matching will not be available for offers made from third party vendors. Get together with friends and colleagues in your area and form a solar buyers group – your bulk buying power can get you a further substantial savings per residential grid connect PV system! We have Clean Energy Council (CEC) accredited solar installers throughout Australia who can ensure the best workmanship and a hassle free system installation for you! Every residential solar company will say they are the best – so what makes Energy Matters so special? Learn more about what sets us apart from the rest! Commonly asked questions and answers relating to residential grid connect systems, carbon dioxide emissions savings, how solar power power works and a brief history of industry milestones. We’ve been installing solar power systems for homes, large and small, on homes all over Australia and overseas for many years. Check out these photos of some of our more recent projects. Video and case studies of some of what our many thousands of customers have to say about their home solar power experience and Energy Matters. Councils and community solar organisations have started solar bulk buy programs with solar installation companies to help people with the cost of installation. Energy Matters is Australia’s leading renewable energy equipment and installation company, supplying top quality solar power systems and components since 2005. Learn more about our organisation and our team. Our vision and philosophy is simple. Provide the very best solar grid connect equipment at the best prices while maintaining the best in client care. Additionally, we are active at an industry and government level to further the evolution of clean, green energy for everyone in Australia – and the world. If you have any questions about grid connect solar power systems, we’d love to hear from you – our team of solar energy experts are here to provide you with free, no-obligation advice tailored to your specific requirements. When it comes to buying a grid connect residential PV system, look no further than Energy Matters. We make solar power systems simple and help create Australia’s future smart homes! So contact us today to find out more about solar power systems for homes.